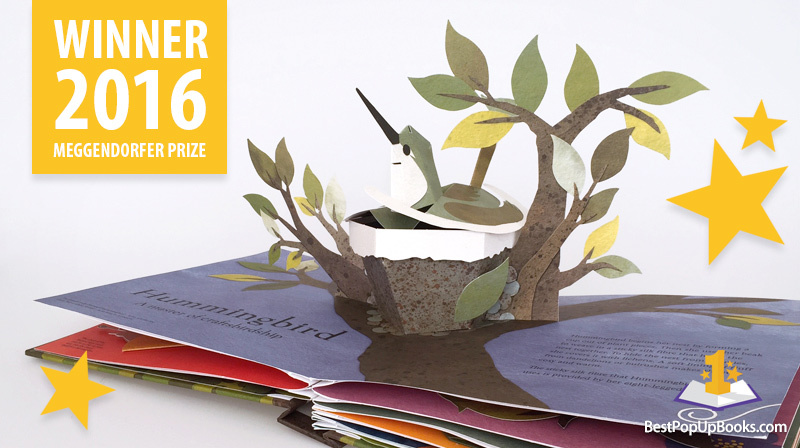 In this list you’ll find the very best recent pop-up books that have been published. 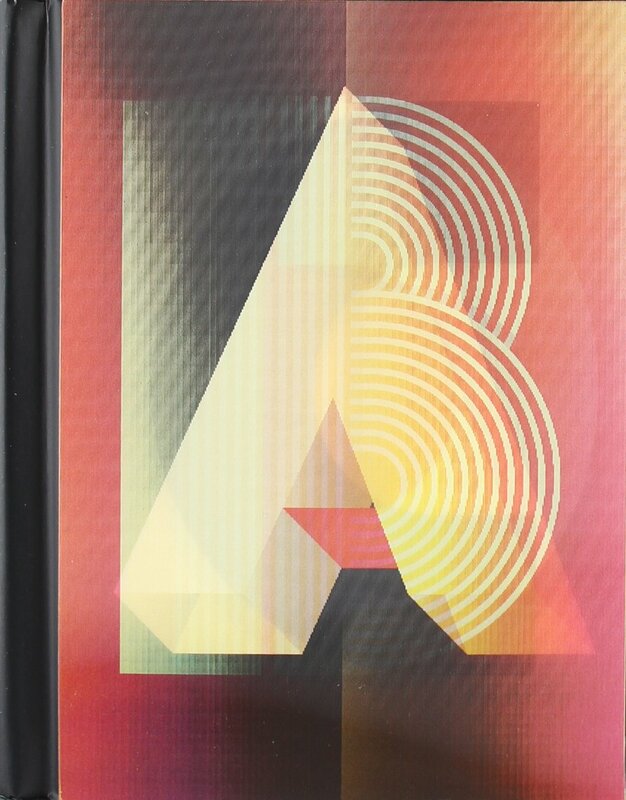 Every two years, the Movable Book Society organizes an awards ceremony where one paper engineer wins the Meggendorfer Prize for best commercial publication. We’ve made a complete list of this years winner, finalists and previous years winners. All books in this list are absolutely must haves for pop-up book collectors! You can click on the provided links and order a copy of a book on Amazon. 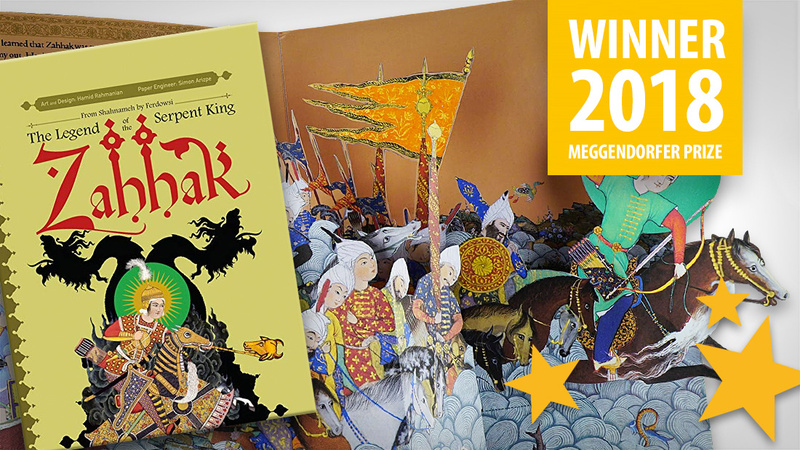 Zahhak: The Legend Of The Serpent King by Simon Arizpe is the winner of the 2018 Meggendorfer Prize for Trade publication. A giant and beautiful pop-up book about the story of Zahhak is a retelling of the myth about the misguided Prince Zahhak who is easily swayed by the devil to murder his father and usurp the throne. Welcome to the Neighbourwood by Shawn Sheehy is the winner of the 2016 Meggendorfer Prize for commercial publication. A beautiful pop-up book about animals who share the same habitat with a crafty look and a variety of different paper engineering techniques. A list with all the Movable Book Society Meggendorfer Prize winners for commercial publication.